The ‘Past Winners Competition’’s winning Fur Creation is ready for FEA 2016! 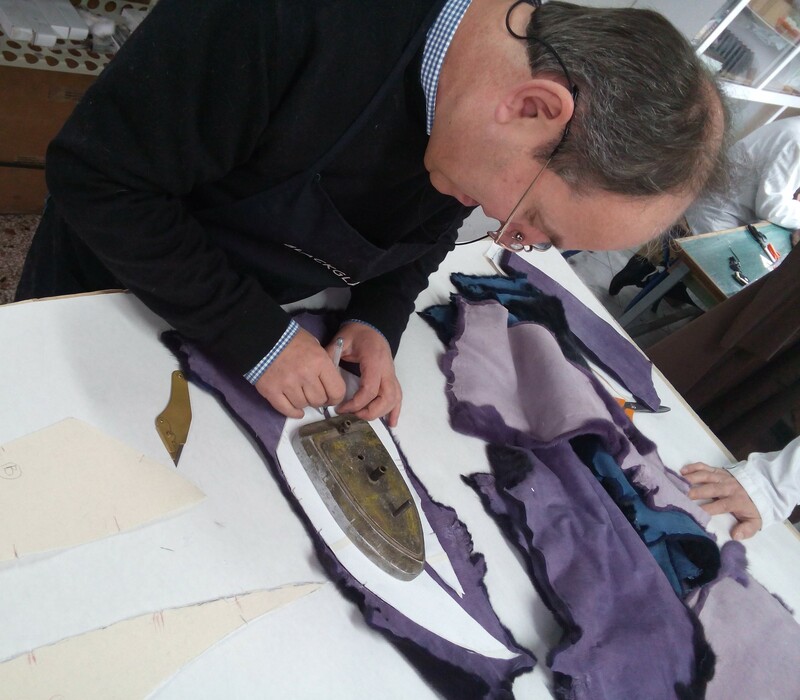 Posted on February 28, 2016 Comments Off on The ‘Past Winners Competition’’s winning Fur Creation is ready for FEA 2016! 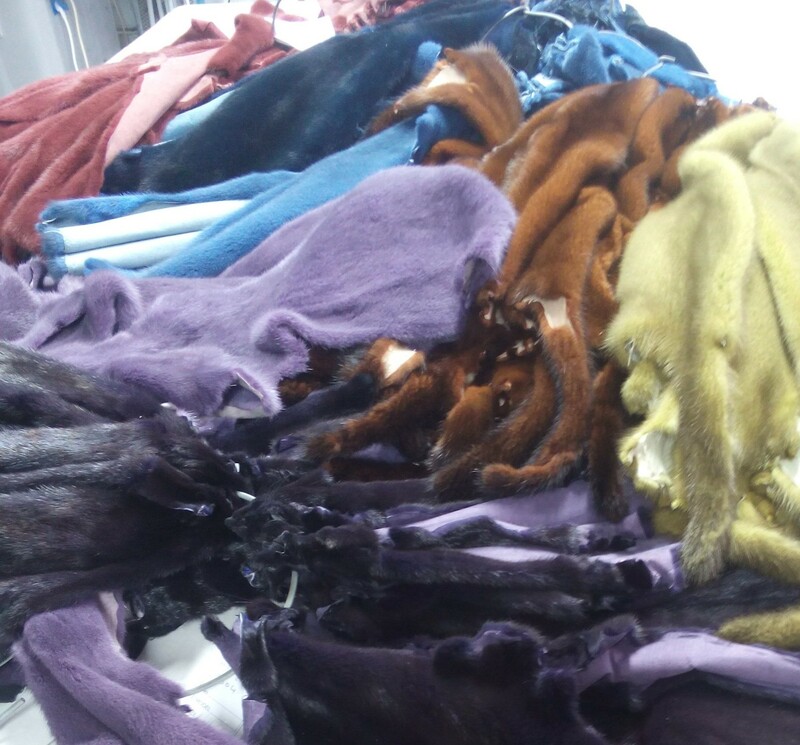 Claude Monet’s palette was made out of fur and the Greek young designer who won the ‘Past Winners Competition’ visited a fur factory in Kastoria to be part of the manufacturing process of her inspirational garment. 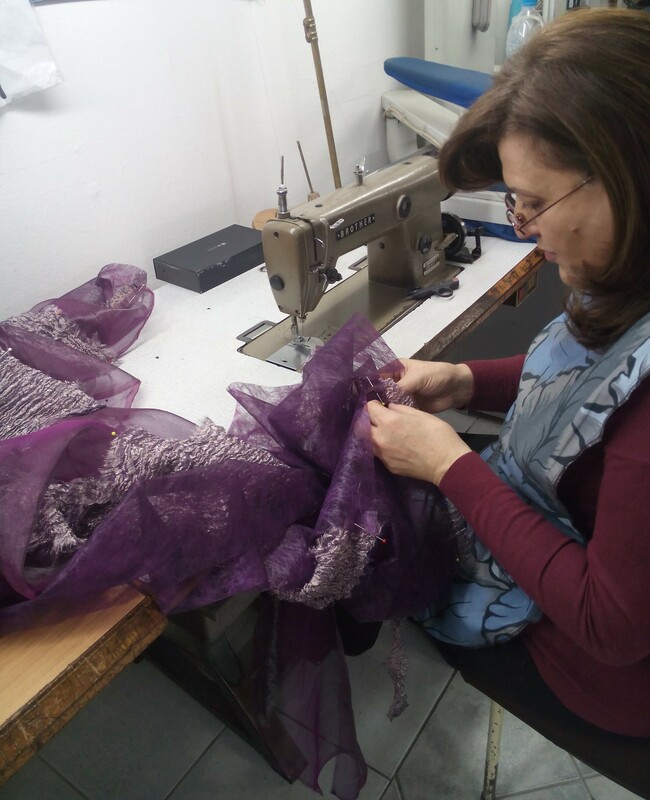 With quality fur skins dyed in the amazing colors of Claude Monet’s lilies, ESTEL FURS, the company that eagerly undertook the project, warmly welcome the designer, Mrs Elodie Karkafiris, as well as FEA’s collaborator prof. Vasili Kardasis, who guided her as a mentor and a teacher. 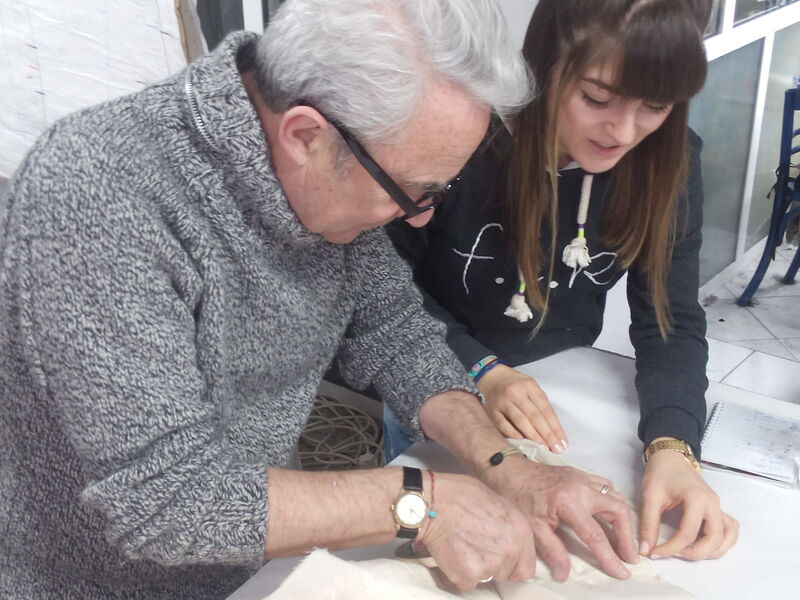 The team of expert fur technicians worked together with the designers with great enthusiasm and open mind and….. the garment is ready to be presented at the exhibition hall of Fur Excellence in Athens – International Fur Fair 2016, as well as at this year’s Fur Fashion Show! The ‘Past Winners Competition’ was launched by Hellenic Association of Furriers for a first time, in order to celebrate with all past winners, the 5th year of the competition which takes place once a year in the framework of Fur Excellence in Athens, International Fur Fair with the support and sponsorship of NAFA- North American Fur Auction House.